We offer our customers a wide range of Resilient Spring Coupling. It comprises mainly two hubs, Grid Spring and Cover to protect the spring to fly off due to centrifugal force and to prevent Grease to come out. It is acknowledged for its features such as durability, sturdy constructions and easy to set up. A. B. G. Enterprises was established in the year 1996. We are Manufacturer and Supplier of Cardan Shaft Coupling, Flexible Coupling, Gear Coupling, Brake-Drum Coupling, Resilient Coupling, Jaw Clutch etc. Also, we are providing Mechanical Power Transmission Service. We are reckoned in the market for the quality value of our products. To uphold this reputation, we put our best so that the quality of our products don't get a compromise in any way. Our unwavering commitment to fabricating premium quality components, besides being concerned about total satisfaction rendered to our customers is the stepping stone to winning out over our rivals in the industry. We are a trusted supplier to RSP, IISCO, HEC, NTPC, to name a few Govt. organizations apart from a huge number of private sectors under our clientele list where our installations are running successes fully for a remarkable time period. A list of our clients is enclosed herewith which speaks volume of our mass industrial product selling base mainly in the field of mechanical power transmission solution. To add more to our credential we would like to inform you that we are a most trusted vendor of m/s Election, Greaves (PTL), Shanti, New allenberry Works for last five years, the leading ISO 9001 accredited. 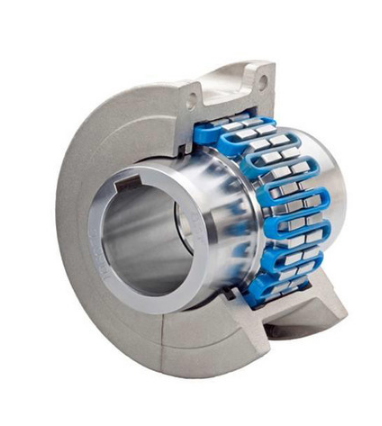 We also cater service to the clients by manufacturing tailor make couplings exactly as per their specification. This job is mainly done through O. E. M. like Larsen & Toubro to whom we quote against their specific tender of different Steel plants, Power plants, Cement Plants etc. and thus have indirectly supplied.